MusicRow is excited to reveal the honorees of the fourth annual Rising Women on the Row celebration. The premier event saluting women in the Nashville music industry will be held Tuesday, March 24, 8:30 a.m. at the Omni Nashville. City National Bank is the presenting sponsor. Click here for ticket information. This event completely sells out every year. 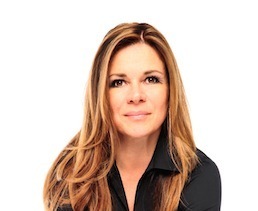 Kele Currier brings more than 20 years of experience to ASCAP’s executive team, where she is responsible for assisting writer and publisher members with high-level membership issues and strategic planning. She helps manage the distribution review, as well as awards statistics for the country and Christian genres. Her career includes helping hit songwriter Craig Wiseman launch his admin company Big Loud Bucks, where she managed the catalogs of Wiseman, Rodney Clawson, Chris Tompkins, Big Tractor Publishing, Extreme Writer’s Group and more. During her time at ole Music Publishing, Currier set up administration in the Nashville office, and was the admin point person for the U.S.
Currier’s career began at SESAC, followed by positions with Opryland Music Group, Alabama band’s Maypop Music Group, and Integrated Copyright Group. She is a graduate of Leadership Music, and is also involved with professional organizations SOURCE, NMPA and AIMP. 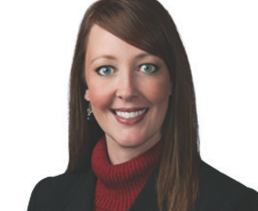 Tiffany Dunn has a dual role as partner and manager of the Nashville office of Loeb & Loeb. Her law practice focuses on music and entertainment transactions and intellectual property protection and enforcement. She has extensive knowledge of copyright, trademark and intellectual property law. Dunn has represented B.B. King, Carrie Underwood, The Civil Wars, Vince Gill, Jerrod Niemann, Casting Crowns, Hot Chelle Rae, Old Crow Medicine Show, the John R. Cash Revocable Trust, John Carter Cash, the Grand Ole Opry and Tootsie’s Orchid Lounge. Dunn is a graduate of Leadership Music, a member of SOURCE, and works with charitable initiatives including City of Hope. 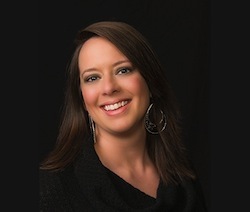 Dawn Gates oversees the Digital Marketing department at UMG Nashville, which encompasses Capitol Records Nashville, EMI Records Nashville, MCA Nashville, and Mercury Nashville. Gates’ realm includes the digital strategies for releases, online marketing promotions, social network campaigns, consumer data research, online ad placements, website, digital downloads, streaming services, mobile interfaces, e-commerce, distribution deals, and more. She works with UMG’s roster of over 35 artists including Luke Bryan, Keith Urban, Lady Antebellum, Eric Church, Sam Hunt, Little Big Town, George Strait, Darius Rucker, Dierks Bentley, Alan Jackson and Kacey Musgraves, to name a few. Gates is a graduate of Leadership Music, and her fundraising efforts for The Leukemia & Lymphoma Society in Nashville made her the organization’s 2011 Woman Of The Year. 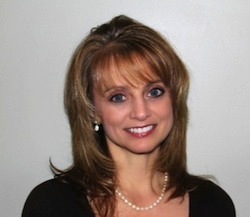 She is a current mentor at the Nashville Entrepreneur Center’s Project Music. 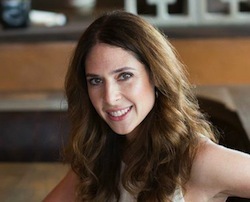 Since launching Sweet Talk Publicity in 2008, Jensen Sussman has created and led publicity campaigns for Florida Georgia Line, Jake Owen, Kristian Bush, Will Hoge, Frankie Ballard, Chris Lane, Corey Smith, Bart Crow, Dallas Smith, Lee Brice, Bucky Covington, Josh Abbott Band and many others. Her decade of experience includes working in the publicity departments at Warner Music Nashville, Sony Music Nashville and Equity Music Group. A career stop at Tractenberg & Co. in New York City, adds to her diverse resume, where she handled publicity for coveted beauty brands including Sephora. Additionally, Sussman is the CEO and co-founder of Women Rock For The Cure, the Nashville-based 501(c)(3) organization committed to connecting and supporting young women facing breast cancer. Lou Taylor has been the owner and CEO of Tri Star Sports and Entertainment Group for over 23 years, providing business management services to actors, artists and athletes. With offices in Nashville and Los Angeles, Taylor’s clients include Steven Tyler, Britney Spears, Jamie Lynn Spears, Florida Georgia Line, Big & Rich, Casey James, Ben-Hur lead actor Jack Huston, and St. Louis Rams coach Jeff Fisher. Tri Star’s repertoire offers accounting, financial statement preparation, royalty audits, participation rights audits, tour accounting, production accounting, estate planning and tax filings. Taylor is a sought-after educator in the NFL and NBA. Having taught classes on financial responsibility, she is known for using extreme visual aides ranging from pythons to 1 million dollars in cash. Among the numerous organizations Tri Star supports is Mercy Ministries, We Run the Row and Second Harvest Food Bank.